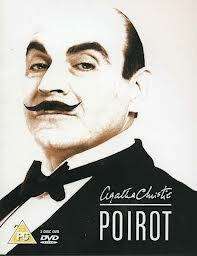 I read today on the BBC website that Sophie Hannah (poet and author of the Zailer and Waterhouse mystery series) has been commissioned by the author’s grandson to write a new crime novel based on Agatha Christie’s immortal (it seems) sleuth Hercule Poirot, probably best known from the television series starring David Suchet. From the comments I’ve read on the BBC’s website, reactions are mixed, and I suppose mine are too. On the one hand, it seems a shame to let the character disappear, but if the new novel doesn’t read like Agatha Christie, will it be as good? Conversely, would it be better not to attempt Christie’s style but simply use her character? Clearly the plot will have to be set in the past – there’s no way Poirot could be expected to grapple with the modern world. A few months ago, Sebastian Faulks, (author of Birdsong, Charlotte Gray and many other literary novels) was commissioned by the Wodehouse estate to write a new Jeeves and Wooster novel in the style of their original author P.G. 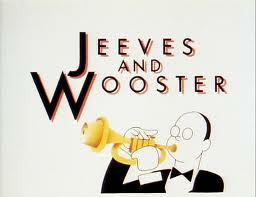 Wodehouse. Faulks has already written a hugely successful James Bond novel, Devil May Care, so this isn’t his first attempt at writing in a style other than his own. Wodehouse seems easy to copy, but in fact, his erudition and incredible knowledge of poetry, the classics and the Bible, which he uses in many a throwaway line, will no doubt render the job difficult. But I think I will give the new book, due in November, a try because I adore Wodehouse so much that any new offering is welcome. But if it doesn’t satisfy within the first chapter, I will have to abandon it. Here’s what Evelyn Waugh had to say about PGW: “Wodehouse’s idyllic world can never stale. He will continue to release future generations from captivity that may be more irksome than our own. He has made a world for us to live in and delight in.” Exactly. So I can’t have my memories of Wodehouse’s world sullied by an inferior copy. LOVE your blogs! What a vibrant and delightful voice and take on the world you have. THanks for these gems. Certainly worth a try. Love Sebastian Faulks’ books.